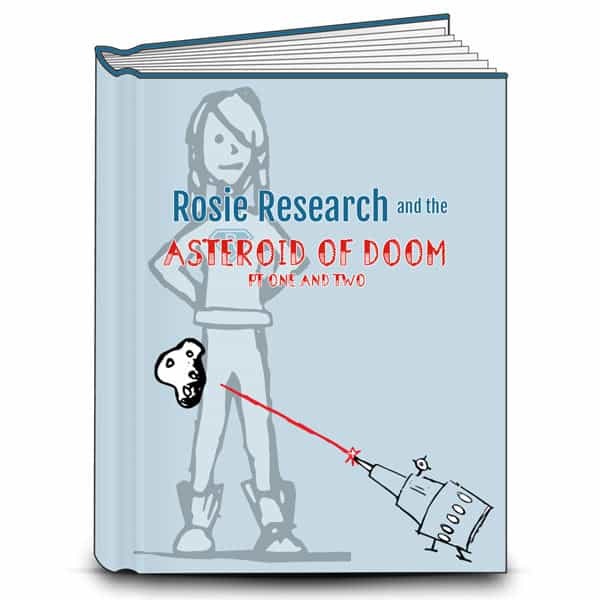 Rosie Research just got a call from scientists at the Asteroid Obliteration Unit, there is an asteroid headed straight towards Earth that threatens to take us out just like the dinosaurs! They need you, and Rosie, to steer their lasers for a direct hit. Can you help save the world in our fun and exciting kids optics lab? 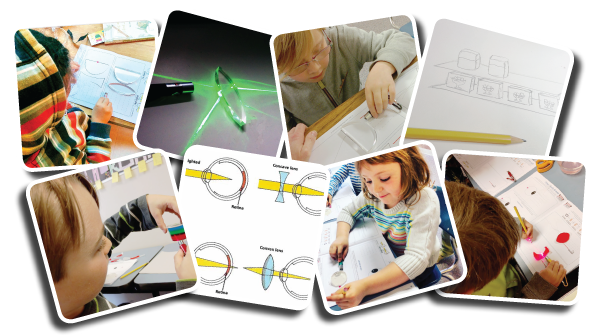 This kids optics lab is the perfect introduction to light, lasers and lenses. We will learn how light typically travels in a straight path unless it is bent by lenses – and we also learn that lenses can be made out of more than just glass. In the second part of this lab kids get to make edible optics using our special jello recipe! They will get to have hands on experience with various types of lenses, make their own pair of glasses and solve laser puzzles to obliterate the asteroid of doom! You can download our labs piecemeal here, or become a Patron to never miss out on the newest Rosie Lab mystery! Whew! It’s been quite the ride getting our kids optics Asteroid of Doom labs together! In this super fun science lab we are diving into the wonderful world of optics, and you are in for a tasty treat! Our Asteroid of Doom mystery is a trilogy, with the first two labs contained here, and the third part (which includes making a homemade telescope) seperately. The first part of our kids optics lab uses easily available acrylic lenses to get a feel for how lenses bend light. 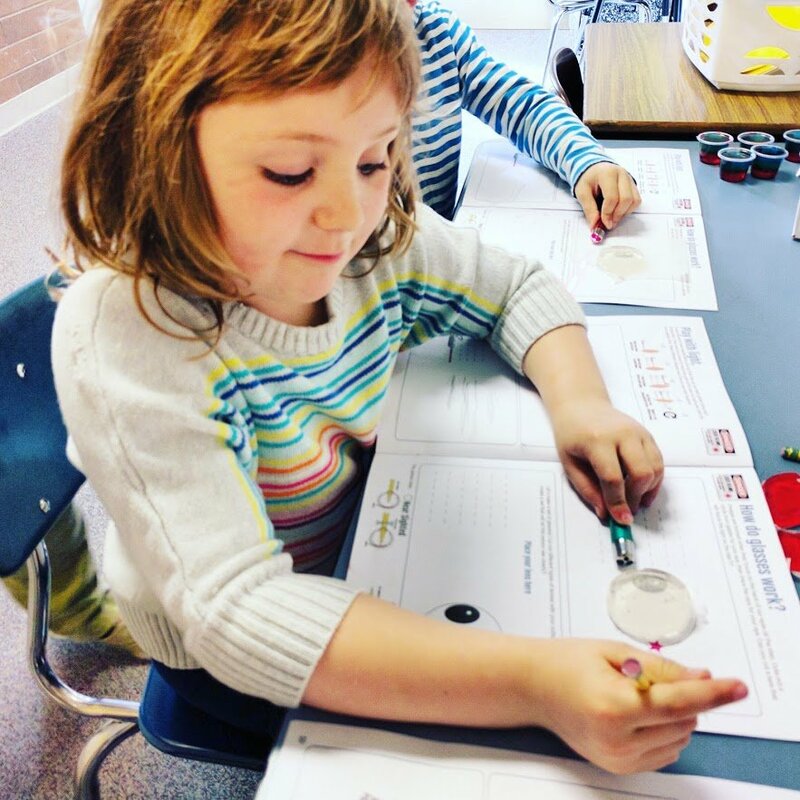 In our kids optics lab homeschool science curriculum you will have the chance to save the world from the Asteroid of Doom testing your ability to bend light with those lenses, and once we do we will find another obstacle sitting in our path! In the second lab of this series (included in this download) the researchers from the Asteroid Obliteration Unit realize that the lasers are so powerful they melt plastic lenses. Rosie, and all of our #STEMSleuths, turn to creating water based self cooling optics our of gelatin! This is by far the tastiest part of the lab. You will learn how to mix up the gelatin, cut it into lenses, and save the world! We will even learn about absorption and color tuning as we decide what flavor of gelatin we need to use for the lenses depending on the final laser color used by the scientists! Lab Books: There are three lab books for the first two parts of our trilogy. The first two lab books are for older aged kids – it has more reading, writing, and questioning. 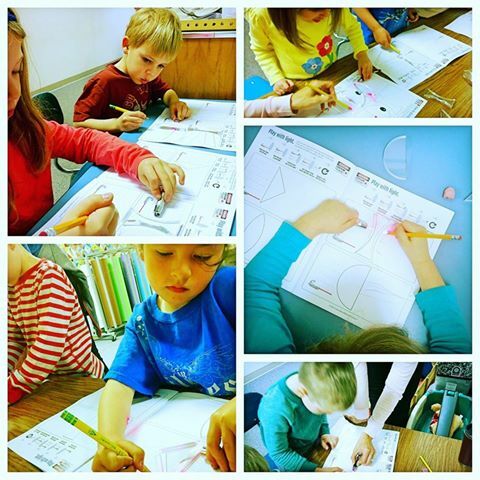 The PreK-1 lab book is geared towards younger kids, with much of the reading and writing taken out to make more room for hands on play! Tabloid versions of the labs are also available if you want to print the labs on 11×17 paper to make each lab into it’s own folder. Parent Guides: There are written parent teacher guides that will give you some quick tips and tricks to troubleshoot issues you might run into, tell you the broad takeaway from the lab, help you brainstorm questions to ask and some additional resources! Scaling Guides: The scaling guides will help you think of ways to expand on the concepts in age appropriate activities, while the sourcing guides will help you find everything we bought for the lab! Applications: Lastly there is our In Real Life download. This download will help you connect the concepts we work with in the labs to everyday life. 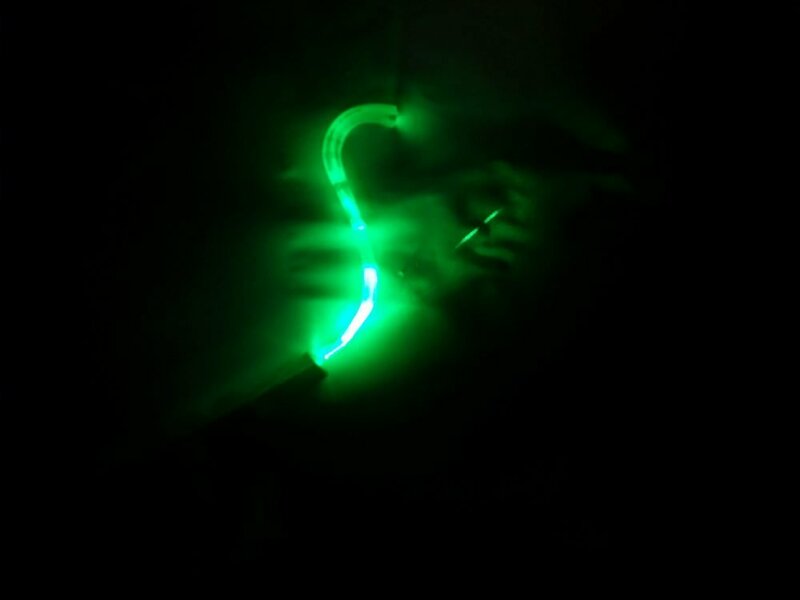 It will help you guide your kids to understanding why optics is important and what the big takeaway of the lab is as well as safety precautions! Worried about knowing the science behind the mystery? Check out our parent teacher videos online to see the full lab as we answer a variety of questions you might have!